It’s almost Valentine’s Day, and you realize you need a gift for your girlfriend. Right away, you start thinking of gift ideas, then you realize one of them is the simplest: A bouquet of flowers. You head to the nearest floral shop or floral department at the grocery store and pick out the best bouquet they have. Not much effort is put into this gift, but your girlfriend will be happy to know you care. Valentine’s Day is one of those holidays where people spend money on gifts for others they admire, whether it is in a relationship, or showing love to a friend or family member. This time of year, flowers are the “go-to” for those looking for a gift at the last minute, and that trend makes the floral business, like Always in Bloom, thrive. Since 2005, Jenny Austin and her business partner Leonard Palladino have been running the small floral shop off Sutherland Avenue with dedication and excellent customer service, she says. A step inside is like walking into a green house, with floral arrangements lining the shelves, ready for delivery. She shares the building with her parents who work for Hallmark Realty, leasing the basement from them. Prior, she worked 19 years at Kroger Floral departments across East Tennessee, but she never thought she would run her own business. Even during economic downturns like the Great Recession of 2008, she continued to brighten the city of Knoxville with her flowers. When it comes to Valentine’s Day, Austin receives orders from those who plan and those who look at the last minute. While nationwide chains like Kroger have made to order and prepared arrangements, her business makes all arrangements at the request of the customer and find the right price fitting their budget. According to the National Retail Federation, a person will spend on average $162 on Valentine’s Day gifts this year; however, the organization states fewer people are celebrating each year. To reach out to those who celebrate the holiday, Jenny relies on word of mouth and the power of social media to drum up business. She says she relies heavily on Facebook, Instagram and especially Google search to find visuals of her floral masterpieces. When customers are so satisfied with her work on display at events, that may encourage them to find something special from her, she said. She hopes to reach a demographic of males between the age of 18 and 55 within a 20-mile radius. Unlike many businesses that sell bouquets made of fruits, chocolates, bacon, or strips of beef jerky, Austin insist that lovers use real flowers. To her, those arrangements are something you find on Pinterest for a DIY project. This year, Austin projects a spike in sales for her flowers. She claims Wednesday to be the best day to be a florist, because the weekend will open the consumer to more opportunities to extend the celebration of love. 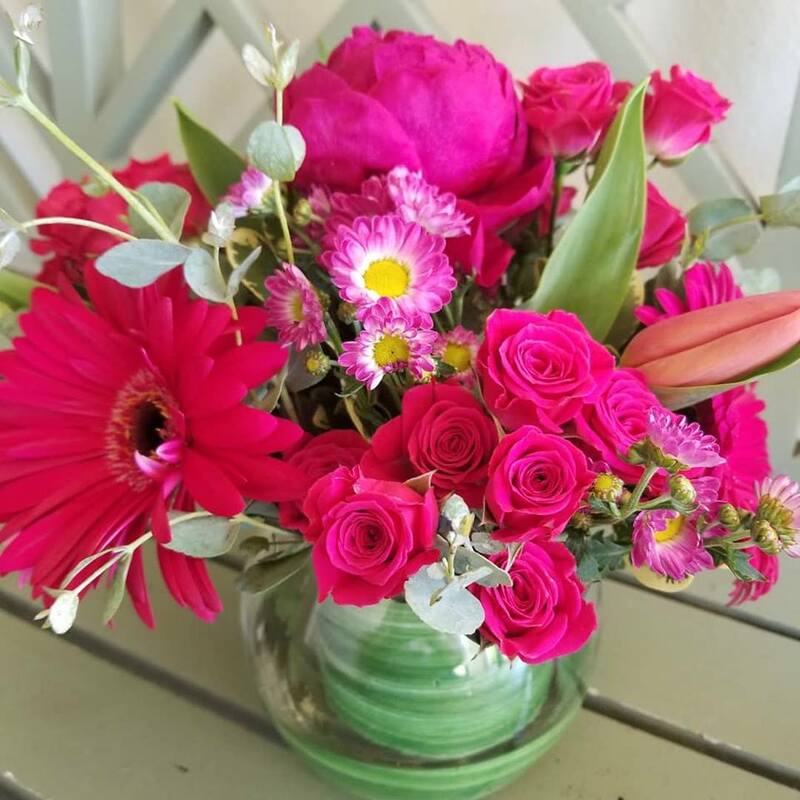 She will place your orders until 3 p.m. on Valentine’s Day, providing enough time to make deliveries and spread love in Knoxville through the art of flowers.